Cerasse vine intertwined with other plants growing in Cacheta Francis' North Miami Beach backyard. Audrey Rowe is Jamaican. She is picking cerasee to use in a bush bath for a rash. A close-up of the cerasee bouquet Audre Rowe plans to use as a topical treatment for a rash. 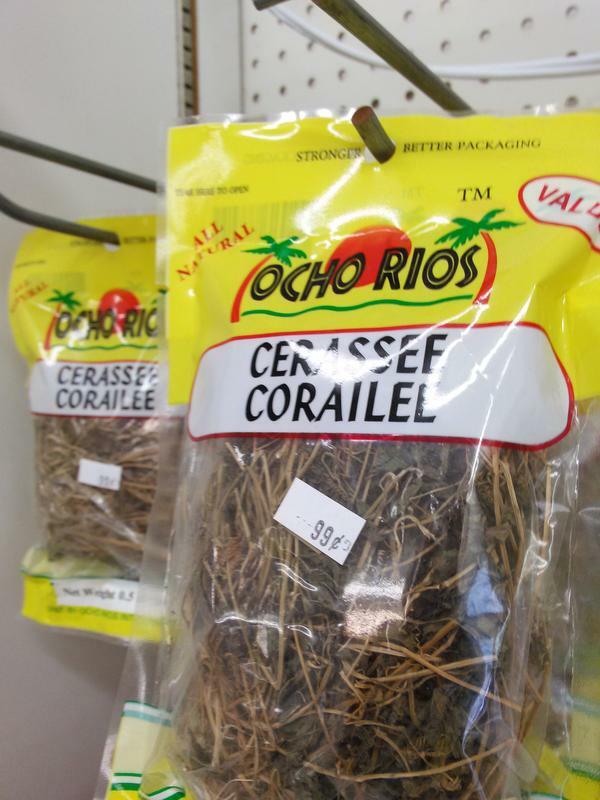 Dried cerassee for sale at Grace Seafood in Miami Gardens. Her go-to cure-all medicinal plant is asosi, also called cerasee or corailee in the English-speaking Caribbean. The plant pops up all over South Florida, especially when it rains. 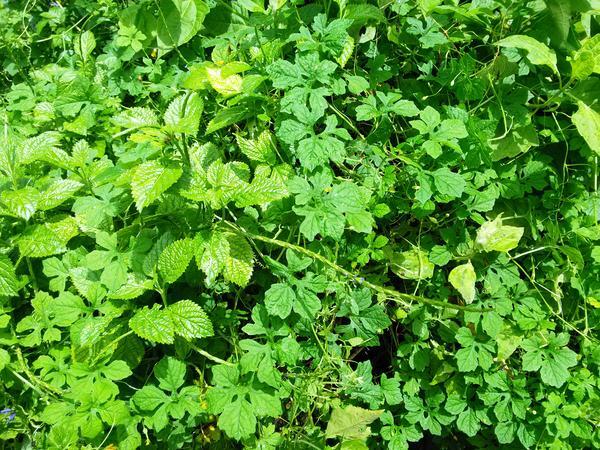 To some, the wild green plant with five point leaves may be just an annoying weed, but to many in South Florida’s Caribbean community — Jamaicans, Bahamians, Trinidadians, Haitians -- it’s the "it" plant for just about every ailment. Dayana St. Fort was born in Haiti. She lives in Pembroke Pines and she also grew up drinking asosi tea. “I don’t think there’s a place that you would go in Haiti and say, ‘I have a fever, I have a sickness,’ and one person won’t tell you, ‘Did you drink asosi?,’ she said. 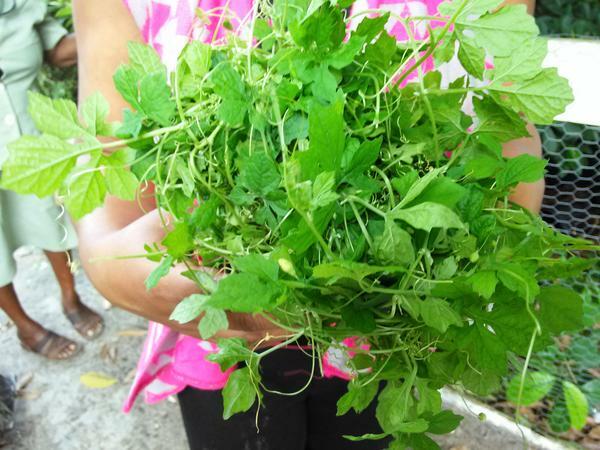 Cerasee or asosi is typically prepared as a tea: Wash the vine; throw it into a pot of water --leaves, stems and all. 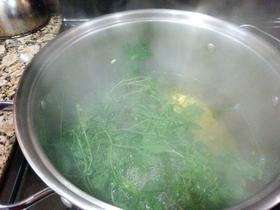 Boil and simmer until the water turns a murky greenish brown. And that’s it. Cerasee or asosi bush tea. The tea is bitter. Very, very, very bitter. 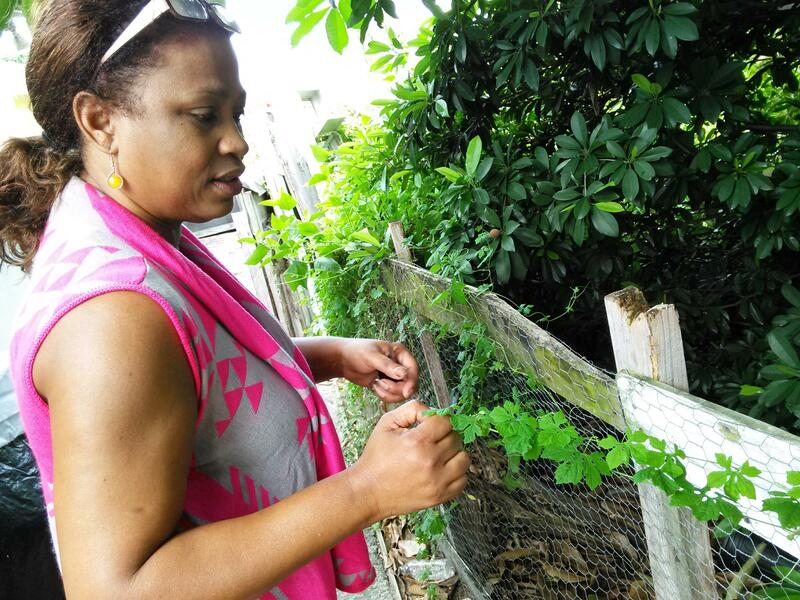 In North Miami Beach, Audrey Rowe stopped by her friend Cacheta Francis’ house to pick some cerasee growing in the backyard. “This is where I come when I’m sick and I really need some old-time herbs,” she said. Rowe and Francis are both Jamaican. Everyone calls Francis “Sister Francis” because she’s a respected elder. She’s 81. 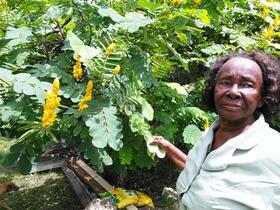 Sister Francis is a religious woman whose backyard is filled with the healing bushes she grew up using in Jamaica. "You know the herb is the healing of the nation," she said. "The Bible say so." Across the yard is a towering shrub with yellow flower clusters shaped like a candle. “You can drink that one over there named King of the Forest,” she said. When Rowe told Sister Francis she'd been breaking out in small rashes, Sister Francis said to come by for some cerasee leaves to use in a bush bath. Some people from the Caribbean believe there’s almost nothing cerasee doesn’t work for. But even cerasee devotees say some of the claims might just be old wives’ tales. Rowe said growing up in Jamaica people used to tell pregnant women that if they wanted their babies to be born with pretty brown skin, they should drink cerasee. Still, cerasee is in demand, especially for Caribbean transplants now living here in South Florida. In some Caribbean grocery stores and health food stores, cerasee is sold in tea bags or dried. But because of the recent wet weather, fresh cerasee is practically everywhere wrapping itself around traffic signs near I-95 and across fences. People like St. Fort, who grew up in Haiti, know to keep an eye out for the trusted plant. She belongs to an unofficial club of Caribbean folks around South Florida who pick bushes from other people’s front yards and the side of the road. Some patients are being surprised by recommendations from their doctors to seek alternative treatments such as meditation, massage and yoga, the Orlando Sentinel reports. While mainstream practitioners have balked for years at alternative medicine, the trend appears to be slowly changing as more practitioners incorporate alternatives for their patients.